And keep in mind it's not just me who has gone through this arc of discovery - hell, the self-professed 'dean' of music critics Robert Christgau freely admitted he lost track of Lori McKenna and then made up for it by covering the majority of her discography en masse and then writing a well-deserved profile piece! But it's sadly not uncommon for music critics and listeners even in the internet age to lose track of indie country acts, especially ones who are not flashy or actively seeking the spotlight - and in comparison with other genres, country is still years behind when it comes to web presence and the sort of audience that that would love McKenna's music if only they knew it existed. And that means I wanted to make it a serious priority to cover this album as soon as possible... so what did we get from The Tree? So I won't mince words - this was a review that was supposed to drop a few days ago, my opinions had been pretty solidified after the first half dozen listens and every additional listen was just confirming what I already knew - it's one of the best albums of 2018, Lori McKenna knocked another one out of the park with the sort of stripped back, weary emotionality and wit that gives her songs such quiet power... but I'd also say it's not quite better than Lorraine or The Bird & The Rifle, mostly because the dramatic stakes can't help but feel a bit lighter. Still an absolutely excellent album that deserves all of the critical acclaim, though, and I would challenge many in this lane to deliver as consistently as McKenna does. Of course, some of that consistency means that I actually don't have a tremendous amount to say about this record, especially when it comes to the production and delivery. McKenna described this record as more stripped back than The Bird & The Rifle and that is certainly true, with fewer of the arranged touches from Dave Cobb and more a focus on gentle acoustic lines, sparse drumwork, and that warm, supple groove that has been the secret foundation behind so much of McKenna's work. Hell, on a song like 'The Lot Behind St. Mary's' that bass melody is actually more prominent and it does a wonderful job helping the song stand out, especially when Cobb brings in some of the more delicate arranged touches. And while this record does settle into a pretty stable midtempo groove - which if you're not paying attention to the songwriting does mean a few tunes might run together a bit - there are the cuts that bring more energy to the table like 'Young And Angry Again' where there's enough bite in McKenna's delivery to make her crave those rougher years before age and real life consequences had to knock the edges away. And I would be remiss to mention 'Happy People', a song she originally wrote for Little Big Town and which shows up here with a quicker tempo and a little more texture, but unlike, say, 'Humble & Kind' on The Bird & The Rifle it doesn't quite pick up enough in translation and does feel like a lesser cut on the record. And while I'm nitpicking, as much as some of those more burnished arranged touches have become a bit cliche from Dave Cobb, for as spare and minimalist as a few of these cuts are, they wouldn't have hurt if only to give some of the melodies and production a bit more distinctive identity - don't get me wrong, McKenna has a winning formula, but she wouldn't be hurt with a bit more here. But even she would acknowledge she's more of a lyricist than composer, so let's talk about lyrics and themes - and the first thing to note is that the tone overall feels a bit brighter than her last record - don't get me wrong, there are plenty of devastating and heartbreaking moments and we'll be talking about them in a bit, but the greater focus on family and motherhood does necessitate a gentler tone than the broken small towns and deeper sense of stifled pain that ran through The Bird And The Rifle. And given that this album doesn't really delve into families fracturing - indeed, the greater conflicts spring from the inevitable passage of time and love that just gutters out in its wake, it does give the feeling that the stakes are a bit lighter overall. Granted, some of this might be linked to the fact that I'm a little further outside of this demographic: while songs like 'A Mother Never Rests' and 'The Way Back Home' are great - the latter very reminiscent of Alan Jackson's 'You Can Always Come Home' but with the melancholic realization it might not happen turned up in the subtext - I suspect to women and mothers specifically they'll hit way harder. And I really do like the larger juxtaposition that comes with those 'The Way Back Home' and the title track earlier on the record, because while McKenna has found herself adaptable but rooted at this stage of her life, she sees those in her immediate orbit restless enough able to venture free, and it lends songs like 'Young And Angry Again' reflexive pathos, or a song where she sees her own father age and now feeling older than he was in her memories a deeper sense of melancholy. And there's two sides to that uncertain place, where something may have attacked that symbolic tree of family and how one grapples with it in very different ways. The most straightforward and immediately heartbreaking is external and comes on 'The Fixer', where the husband tries to care for his sick wife but given that he really can't do much tries to find other things that he can repair and fix if he can't 'fix her', which might be the one and only time that sentiment has ever worked and is damn near better than when Coldplay did it with 'Fix You', if only for the level of lived-in detail worked into the writing. But where things get more harrowing are when the relationship is dying from within, from how she provides for her family but likely never knows how she slips away on 'You Won't Even Know I'm Gone' - not quite as confrontational as Jason Eady and Courtney Patton's devastating 'Where I've Been', but near on par with it. Then there's 'You Can't Break A Woman', where in the face of alcohol and drug abuse the love has just faded, and the scars of experience and time are too thick to be penetrated. But the song that's attracted the most attention is 'The Lot Behind St. Mary's', and it's probably the best cut here, setting teenage small-town rebellion behind a church to further intensify the juxtaposition... only to highlight how God's attention had never left them, either then or years later when they wish some embers of those older days could be rekindled, where some trace of that old excitement and human danger is still needed even in the face of a higher power. It's the flip side to a song like 'We Were Cool' from The Bird And The Rifle, and like with that song, the framing is placed far enough and yet with enough empathy to avoid any moralism or judgement, even in the face of someone who may have always known, but might have never been enough then or now. So yeah, the writing on this project is absolutely excellent and when you pair it with McKenna's mature but emotive tones and Cobb's tasteful production, I can easily hold up The Tree as one of the best of 2018... but whether it quite hits as hard as The Bird And The Rifle does, that's a dicier question. I'm inclined to say 'no', but for an older demographic of women, I could easily see this connect a lot more strongly, so if you're looking to get your mom something for her birthday or Christmas, you would not go wrong with this. And even saying that this is still a fantastic country record, netting a comfortable 9/10 and the highest of my recommendations. 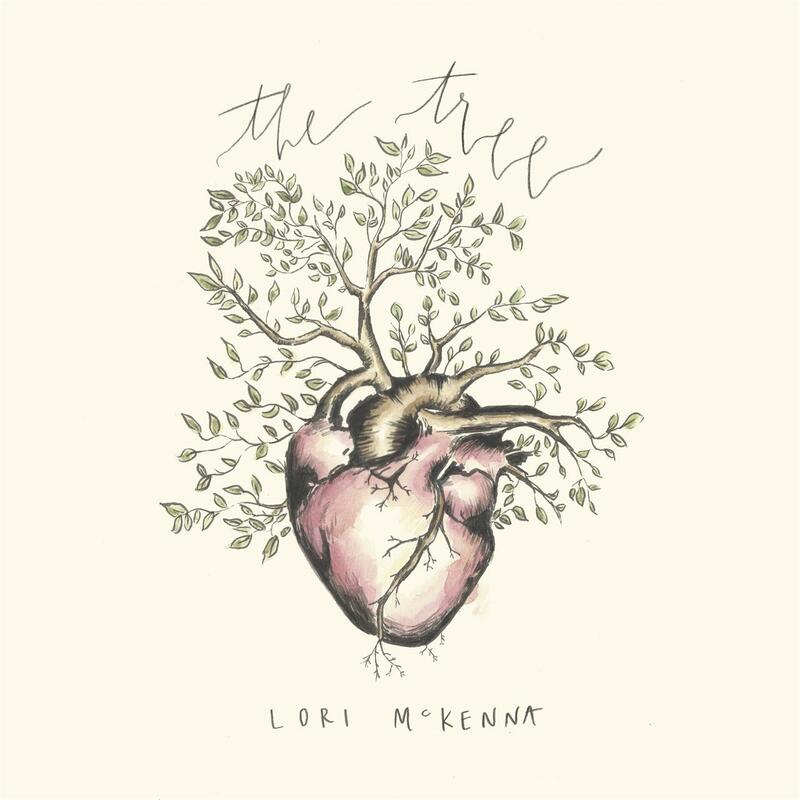 Folks, she might be unassuming and keep slipping out of view, but Lori McKenna is making some of the best country folk in the industry right now - definitely make the time to check this out!